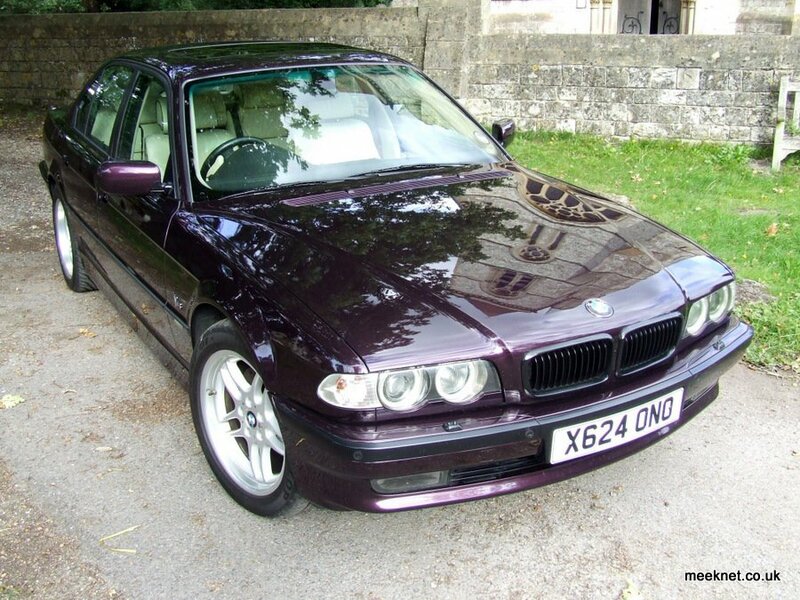 This is an Individual E38 with almost every available option. 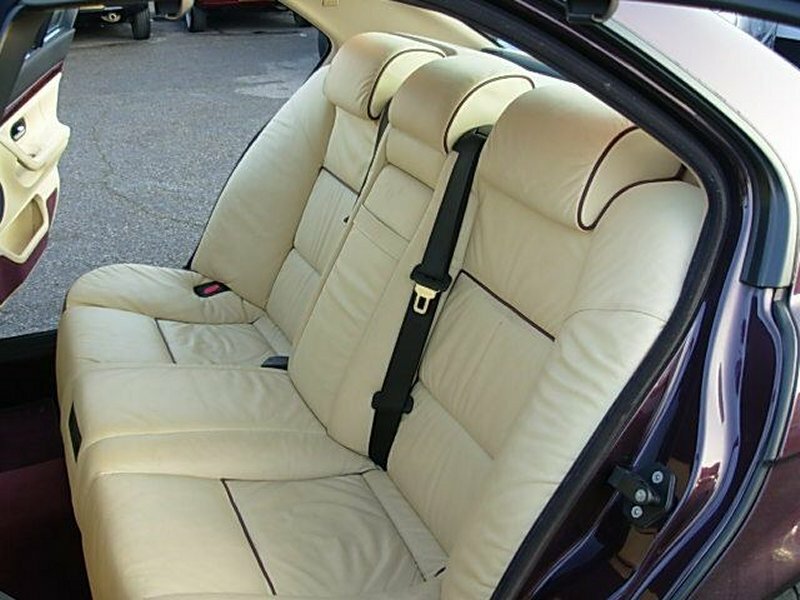 The exterior is Dechromed Mora Metallic and the interior is Champagne Full Nappa Leather with Amethyst Piping. The wood capping is Burr Walnut with full inlay. Only two modifications have been made to the car, a Quad Cobra exhaust has been fitted by Exhaustsuk and CCFL Angel-Eyes have been added to the Xenon headlights. 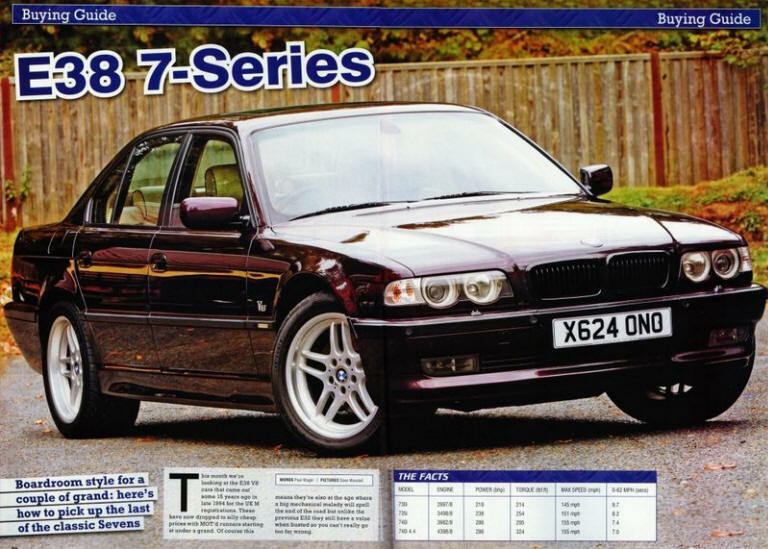 The 740i will kick it's heels with a gentle prod on the throttle, 75MPH to 100MPH is achieved with no fluster and only a slight throb of the V8, brilliant for that quick overtaking move. And that is what is so great about this car, it is the best of two worlds. 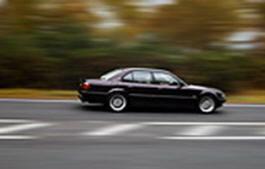 You can drive like a chauffeur, no jolts, no engine noise, just an effortless surge in speed. Or, you can tip the 'stick into Sports mode and hit the kick-down, the only thing that stops you leaving your tyres on the road is the super-quick Anti-Slip-Control (ASC) which electronically controls the throttle to a point where you accelerate blindingly quickly and still keep the tread on the tyres! 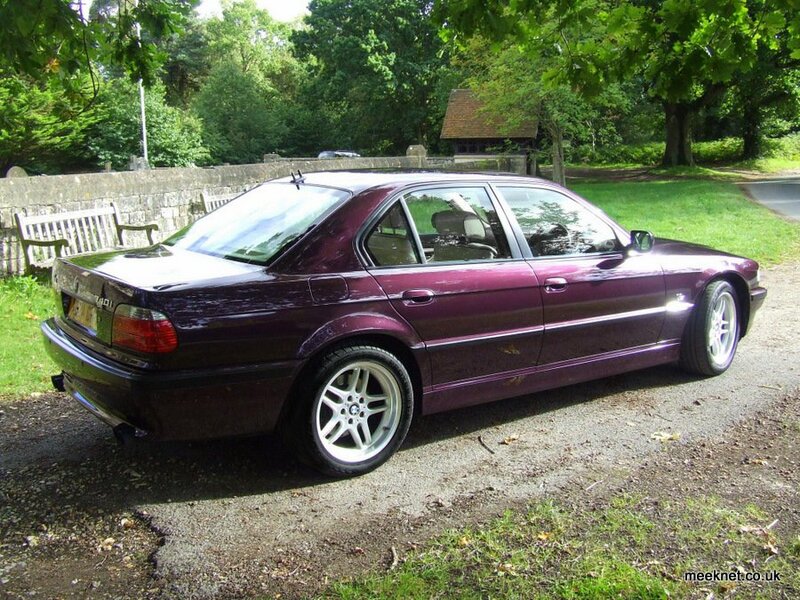 All this achieved with the V8 roar which although subtle is pretty inspiring. The Engine and Gearbox are adaptive meaning that they will learn your driving style, if you are doing long motorway journeys at steady speed the computers will lean out the mixture so that economy is realised. If you are more interested in spirited driving the 'box will change up later and the engine will deliver the power in spades. 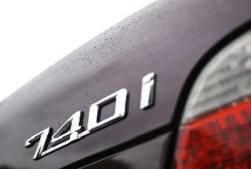 The 740i is the perfect compromise between the underpowered 728i and the thirsty 750i. The M62TUB engine is very advanced with 4-valves per cylinder (32 valves), quad overhead chain-driven cams, 8 ignition coils and quad anti-knock sensors for squeezing every ounce of power from any octane petrol. Fortunately this power is tamed by the DSC, unless you want to go sideways everywhere, then you can switch the DSC off! The On-Board-Monitor is a high-brightness LCD display. 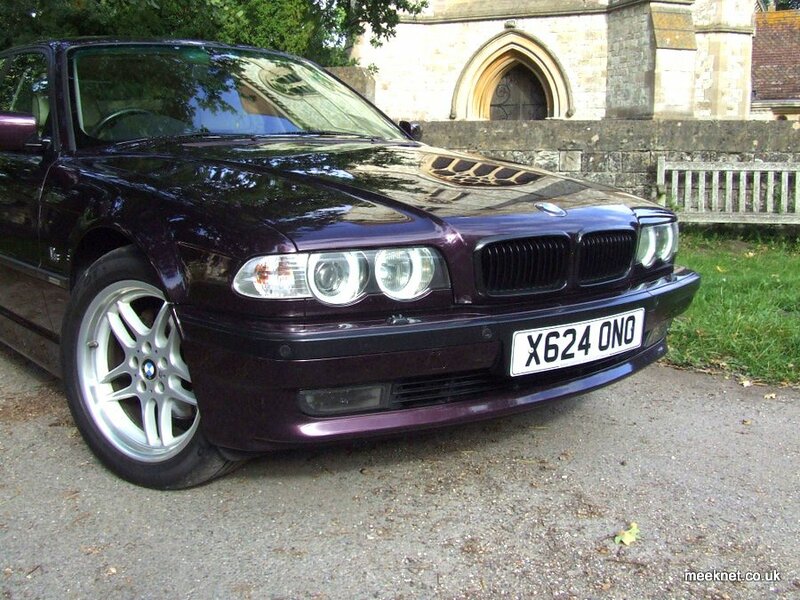 All sorts of functions can be performed from the central console, Sat-Nav, TV, Telephone, DSP controls, Aux Ventilation which can be set to cool the car before you set off in the morning. 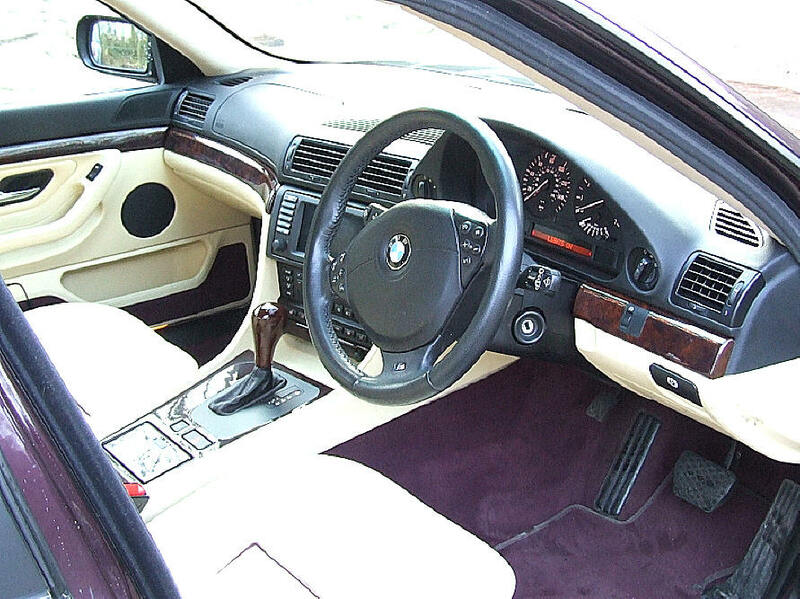 Many of the functions can also be controlled from the multi-function steering wheel. There is a Video/Audio panel in the rear centre console where a second monitor can be added to receive the TV programmes plus a channel selector for the TV. A rear monitor can display the TV signal when the front monitor is switched off. 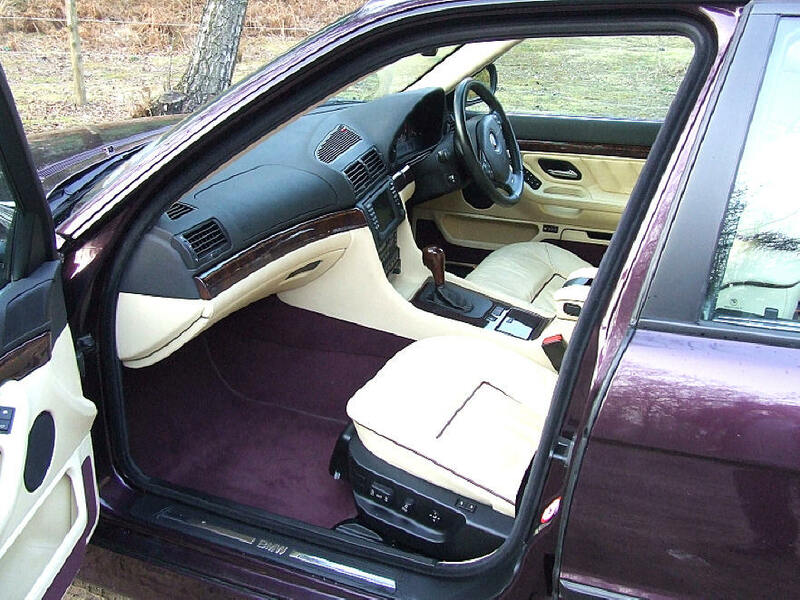 Alternatively a DVD player can be connected to the same panel so that the DVD can be played on the front monitor and the sound can be heard through the car speaker system. The boot is fitted with a hydraulic ram in place of the LHS gas-strut. In the RHS of the boot, above the battery, is fitted a hydraulic pump and valve body that is under command of the control unit. The system uses the soft-close system to initially open the boot, the hydraulic ram then lifts the boot to the full open position. When closing the hydraulic unit reverses the pressure on the hydraulic ram which moves the boot downwards, at about 40 degrees gravity takes over, the hydraulic unit switches off and the boot is pulled closed by the soft-close system. Both directions can be performed with the remote. 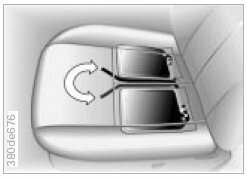 Both the front seats are active, these are designed to reduce strain on the back by slightly shifting the centre of gravity of the occupant. This is achieved by two fluid bags that are situated under the base of the seat, one on each side. 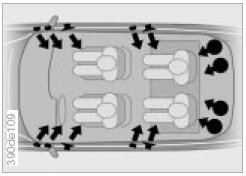 When activated, the system uses a small pump to transfer fluid between the two bags which raises one side of the seat base by a small amount. Around once every 5 seconds the fluid is moved to the other bag. The small change in geometry of the seat base reduces back strain by transferring weight from one side of the body to the other. This system continually checks the tyre pressures and informs the driver via the OBC if the pressure drops by 5 PSI. This is achieved by using wireless pressure monitors fitted to each road wheel. These have inbuilt Lithium batteries that last around 7 years. 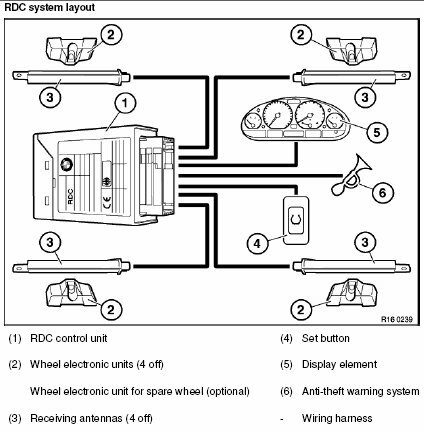 The pressure data from the wheels is picked up by receivers in each wheel arch, these are connected to the RDC control unit under the dash. 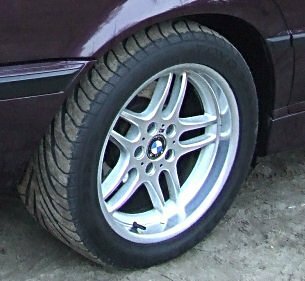 The system is calibrated by inflating all four tyres to the correct pressure and then long-pressing the RDC button on the dash. The system comprises 14 speakers and is driven by a six-channel Digital-Sampling-Processor (DSP) based amplifier. 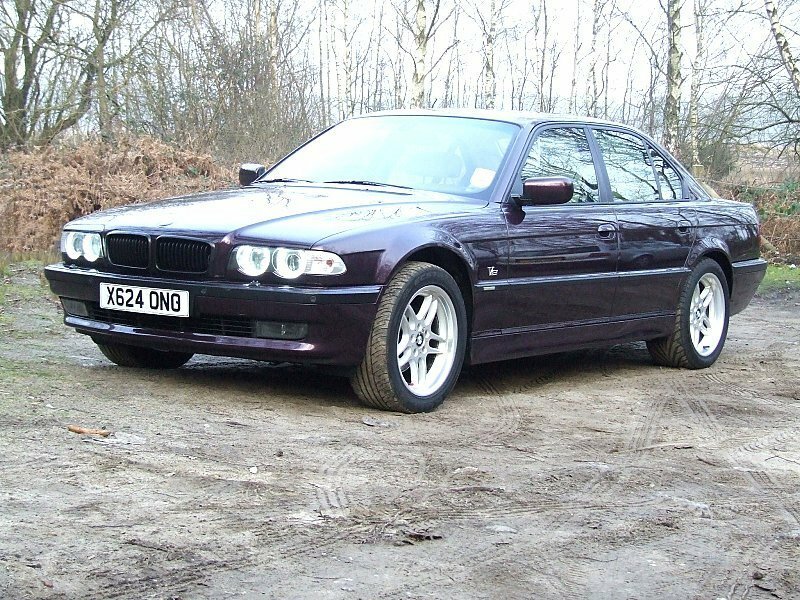 The amplifiers are connected to: Subwoofers (4-speakers on rear parcel shelf), Bass (all 4 doors), Mid (dash) and Tweeters (all 4 doors). The system can produce impressive bass but the subwoofers have a cut-off of 40Hz which the door Bass does not pick up until 80Hz, this leaves quite a gap in the low-end bass response. However, the system gives excellent results with Bass-heavy audio although it does get pretty uncomfortable for the back-seat passengers! The system is controlled via the LCD screen and has a six-channel Graphic Equaliser plus 'room' and 'reverb' options. Each of the four dampers have solenoids that open hydraulic valves, two valves per damper. 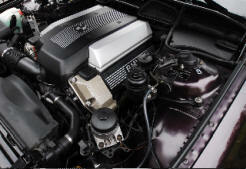 When both valves are closed (off) the damping is harsh giving the best performance for sport-driving. When on, one valve is opened and the damping is decreased, and then further decreased when the final valve is open giving a very soft ride. The control of the valves is performed by the EDC processor which uses sensors to measure G forces, adjusting the damping dependant on the way the car is driven and the road condition. The EDC can be forced into Sports mode by pressing the S-EDC button on the dash. The system gives an excellent soft feel until cornering where the damping is decreased to improve adhesion to the road. If the EDC system fails it reverts to Sports mode to ensure safe handling. 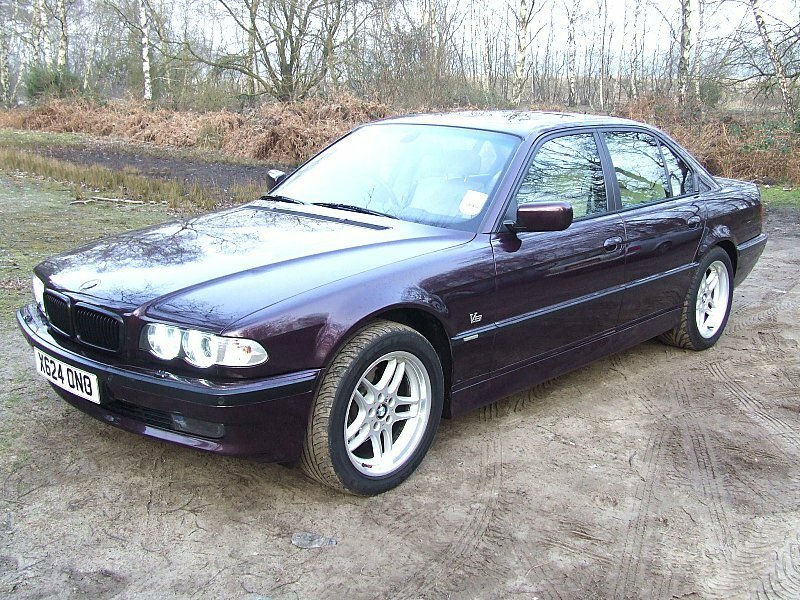 The E38 can store two separate sets of user settings for the seats, mirrors, steering-wheel, A/C system and radio. These settings are stored in the car but are initiated by each of the two main transponder keys. If the car is opened using Key 1 the settings related to that key are put into operation, this means the seats and mirrors move and the A/C and radio adjust to the drivers settings without the need to press the memory buttons. Additional settings such as automatic locking and selective locking can be related to the keys as well, but these are 'Dealer only' options. 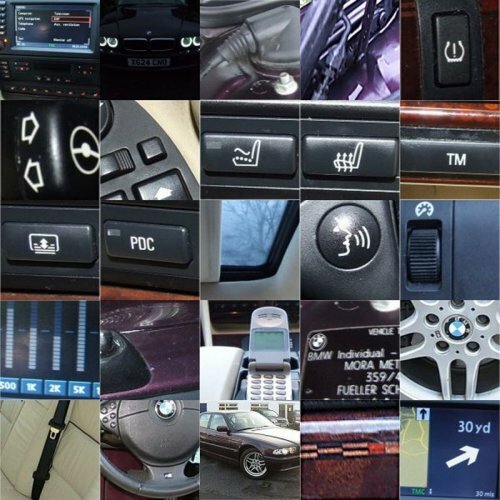 Below is a picture of the some of the options that this car has.